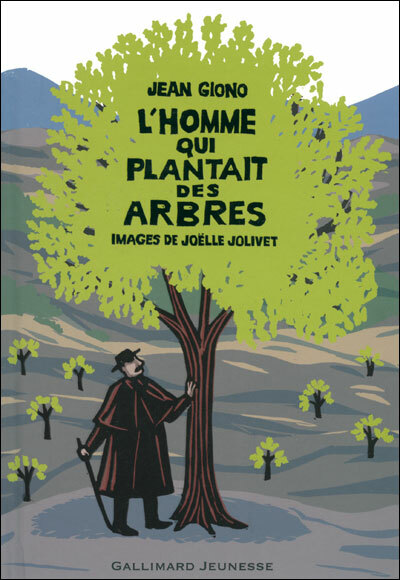 The Man Who Planted Trees (or L’homme qui plantait des arbres’) by French author Jean Giono is a legendary tale written in the 1950’s, which has been translated into a multitude of languages. It tells the story of one shepherd, Elzéard Bouffier, living in a desolate valley in the foothills of the Alps near Provence throughout the first half of the 20th century, who single-handedly re-forests and resurrects the wasteland around him. It is a message well ahead of its time, and one that has stayed with me in the few days since reading the short tale. The story is narrated by a young man who remains anonymous, and who in 1910 and at the start of the book, sets out on a lone journey on foot through a wilderness region of France. There is no trace of civilization and natural springs have dried up years ago. He is in desperate need of water, and at that point in his journey meets Elzéard Bouffier for the first time, who takes him in and gives him food and rest. The shepherd is a man of few words and the narrator is fascinated by his lonely existence. On the first evening the narrator observes him carefully select one hundred perfect acorns from a pile that he has collected, which he painstakingly plants by hand the next day. Over the course of the next 40 years, during which time two World Wars take place, the shepherd continues in his tree planting mission, and the narrator continues to visit him. The narrator sees the desolate hills transform into a magnificent forest, where streams begin to flow again and civilisation returns. The old shepherd had breathed life back into the land. This entry was posted in Already read it, French literature, Short Books.